16. 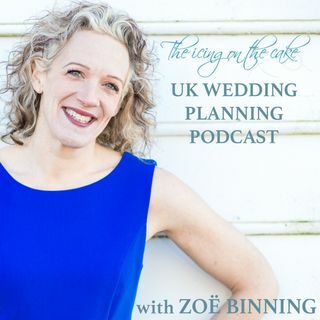 Two of the real trendsetters of the UK wedding industry sit down for a chat with Zoë. Kat Williams, who runs Rock n Roll Bride blog (www.rocknrollbride.com) and Claire Gould, who runs the English Wedding Blog (english-wedding.com) talk real weddings, styled shoots, trends and whether blogs are replacing the traditional glossy magazine. Also this episode, Zoë tackles listener Amanda’s question about an appropriate outfit for an older bride. Want your wedding question answered on the ... See More podcast? Email us at podcast@weddingsbyzoe.co.uk.